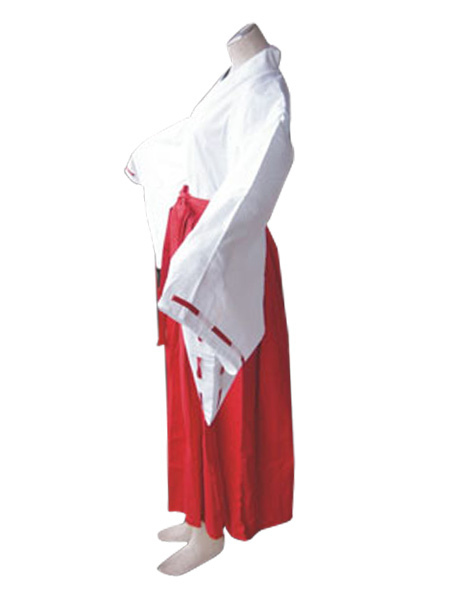 Make you the same as Kikyo in this InuYasha cosplay costume for cosplay show. it all looks good, very soft material, I\'m satisfied anyway. Now I just need bow and arrow...haha If your site also sell stuff like that would be a big plus! 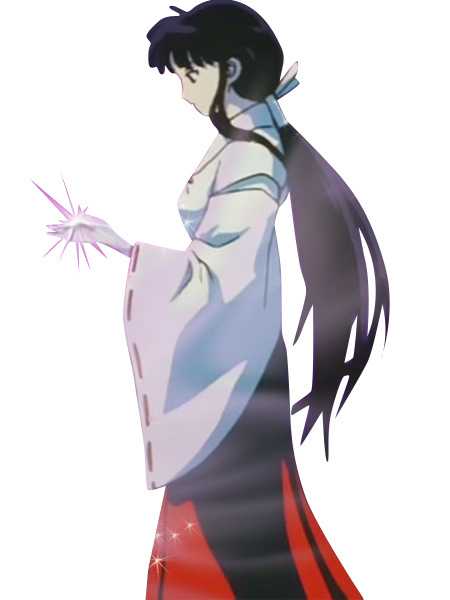 This is a really nice costume from the anime inuyasha. 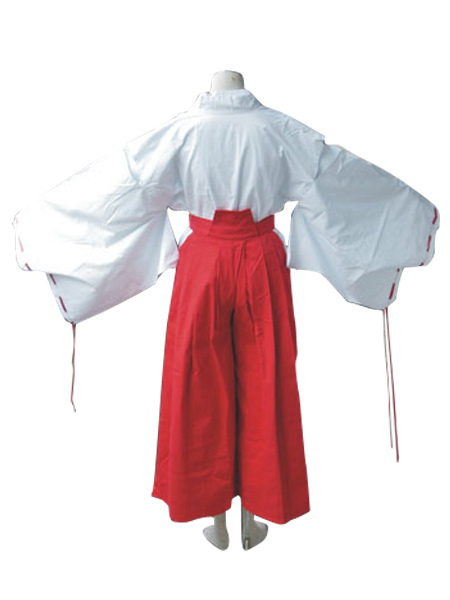 I am really fond of haing this piece in my collection of anime costumes. I like to dress up in this costume and invite people over to entertain and i like to be fancily dressed while i do that. Occasionally i wear costumes to cosplay and manga events but mostly i wear these costumes at home. That means long hours of wear and costumes must be really comfortable to do that. Thankfully all the clothes i have ever brought form milanoo have been really comfortable and have never disappointed me in terms of how they are made or how close they are in terms of adaptation to the anime. So that’s a great plus point of milanoo. Well well well. Milanoo has yet again saved my life. I had to go to this party at my friend’s place and wanted something unique. I am a cosplay freak and it is very essential to me that I look my best especially when I am with someone. Well so this amazingly cute costume worked wonders for me. I paired it with a similar hairstyle like the character and with bellies. All in all the outfit was adorable so I was really satisfied. Not just that it was very comfortable too hence a great plus point there. I have been hooked to Milanoo since then, and have been advertising it for free to almost everyone I know. 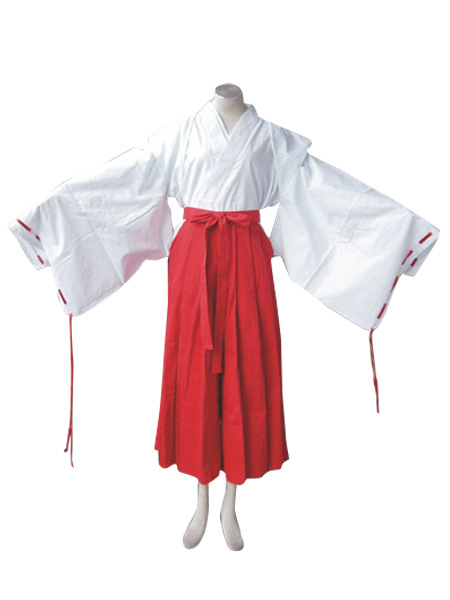 I am very satisfied because I can become a very pretty shrine maiden. It certainly is not authentic, so it seems that fabric and structure are all cosplay, but I think that this price is enough. I think that it is a shop that will make you feel like wearing a little. Which fabrics / material is it? The standard shipping takes 7-9 with US$ 10.66 while the expedited shipping takes 3-5 days with US$ 12.36 .